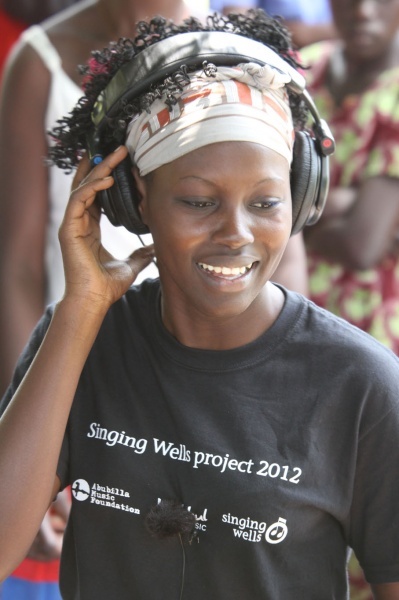 To achieve the goals of the Singing Wells project we work in the field travelling to the villages of East Africa with our bespoke mobile recording studio. By taking the studio to remote communities we can record the music and dance performances of individual musicians and music groups in a relaxed and authentic environment, watched by their family and friends. In fact, we usually attract large audiences from the communities we visit. Everyone from the youngest child to the most venerated elder is eager to watch the Singing Wells performances and many join in with the dances too. A typical field visit involves, in the first instance, identifying traditional, region music styles and groups in the area we are travelling to. Once we have the final itinerary, the Singing Wells team sets out by road with the mobile recording studio and spends up to a week in the field recording the local music groups we have discovered. Click here to read about a typical day in the field by Andy Patterson, our Abubilla Music sound engineer. During each field visit we are invariably struck by a particularly talented or exciting musician or music group. When this happens we arrange for them to travel to Ketebul Music in Nairobi to record their music in the studio. Many of these studio sessions have contributed to the Singing Wells ‘Influences’ series (see below). During our field visits we collect a vast amount of audio and video recordings. Our mobile studio allows us to record audio via up to 8 different professional quality microphones and video with three HD cameras. Following each visit, this material is post produced to provide an archive of audio tracks and videos. We are in contact with The British Library about adding the Singing Wells collection to their archive of World and Traditional Music but we also endeavour to make our recordings accessible to the widest possible audience of musicians, music lovers and ethnomusicologists. You can find all our recordings on Soundcloud and YouTube or discover music groups by location or genre via our digital Music Map. If you like the music you hear and want to make a donation to support a particular music group you can do this on our YouTube channel using the Google Donate button. One of the key objectives of the Singing Wells project is to introduce tribal East African music to a new generation of musicians and listeners who might not consider it relevant today. So we have developed the Influences series: new compositions comprising a fusion of traditional and contemporary styles, themes, harmonies and instruments. Influences is led by musicians from Ketebul Music or singer/songwriters from the areas we are travelling to during our field visits. “Singing Wells can’t be just about archiving. We can’t be fossil collectors. We also have to make sure we can bring these traditions into modern music. 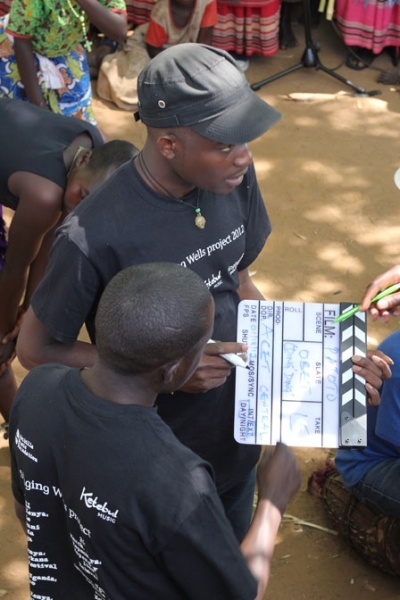 We are doing this with Winyo – he really does bridge the traditional with the modern and you saw the reaction of the villagers to working with him. They felt he completely respected their music”. Steve Kivutia, Ketebul Music, while in Uganda recording the music of the Mperwa Batwa community. To read more about the Influences series click here. Our experiences in the field have highlighted the importance of music within communities. We have visited remote villages where the success of the community appears to be directly related to the quality of their music groups. We are committed to supporting traditional music performance in rural East Africa as we believe that this not only serves to promote and preserve the cultural heritage of a community but is also a key indicator of the sustainability of that community.